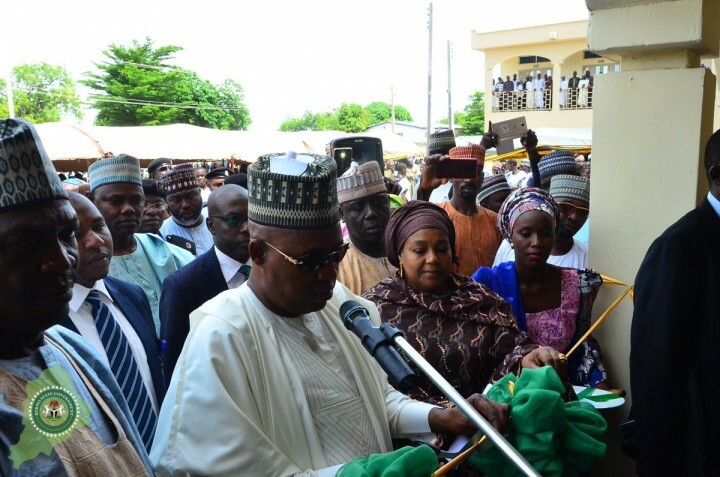 Governor Kashim Shettima on Monday commissioned a Government built Tailoring and Fashion Design Plaza with 116 shops accompanied with sewing machines for use by three hundred women who include dozens recently trained by an Abuja based Vodi tailoring and Fashion Design Institute on the sponsorship of Borno Government. The Plaza is located in Lamisula, a densely populated area in Maiduguri. Shops, comprising 60 single and 28 doubles, were allocated to groups of the trained women while sewing and knitting machines were presented to them to enable them start their businesses. Governor Shettima directed that payment of one year rent be waved for the women while they are to pay subsequent rents at subsidized rates of N20,000 per annum. Some starters recently trained were given cash of N50,000 for logistics in addition to being given sewing and knitting machines. ‎The Governor called on the women to make good use of the Plaza to be self employed and become major supplies of clothes for buyers. The Plaza has changed the face of its location, hitherto called Lamisula Bola, which was an eye sore and constituted great nuisance and health hazards to the entire community. Government made deliberate effort to site developmental projects to change the place, Governor Shettima said. 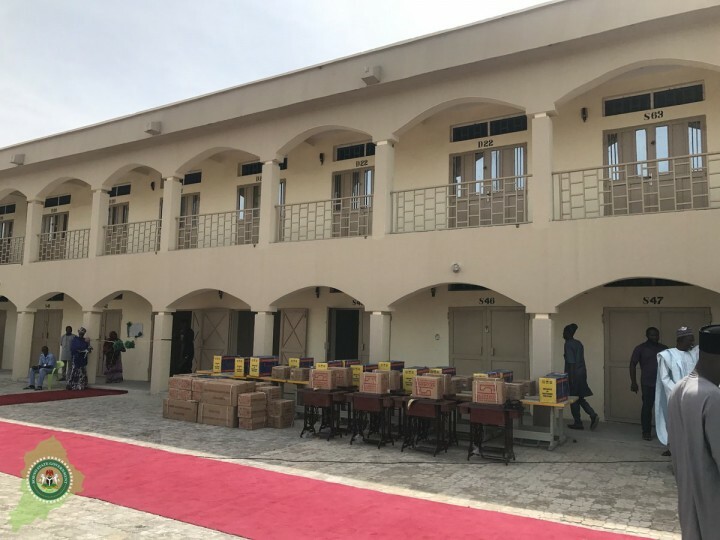 He noted that schools, projects, houses, business outfits, hospitals springing up in the nooks and crannies of Maiduguri will soon be commissioned. The Commissioner for Poverty Alleviation and Youth Empowerment, Hajiya Inna Galadima observed that skills acquisition is critical to any empowerment programme, hence the State Government has given attention to it, and over the years, thousands of youths were trained in various skills through collaboration with different organisations.